Led by Professor Chen Xiaodong, associate chair (faculty) at the School of Materials Science & Engineering, the team reported in the journal Advanced Materials that they have created a supercapacitor that works like a fast-charging battery and can be recharged many times, which could serve as a wearable power source. 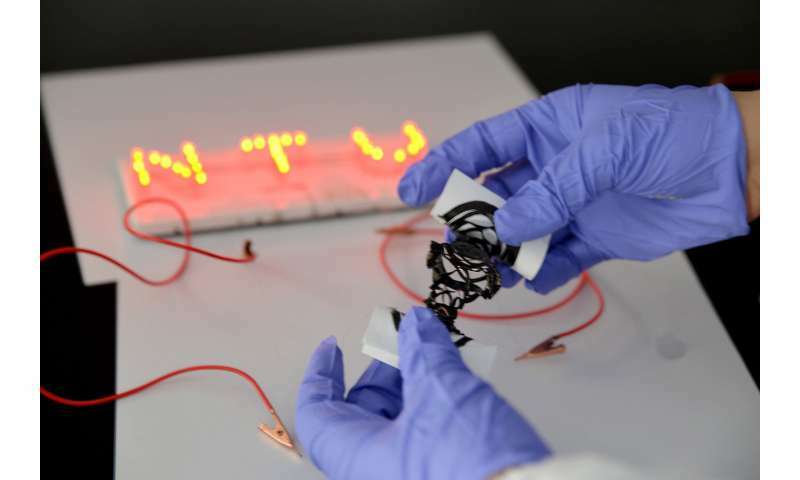 Crucially, they have made their supercapacitor customizable or "editable," meaning its structure and shape can be changed after it is manufactured, while retaining its function as a power source. Existing stretchable supercapacitors are fabricated in predetermined designs and structures, but the new invention can be stretched multi-directionally, and is less likely to be mismatched when it is joined with other electrical components. The new supercapacitor, when edited into a honeycomb-like structure, has the ability to store an electrical charge four times higher than most existing stretchable supercapacitors. In addition, when stretched to four times its original length, it retains nearly 98 percent of its electrical energy storage capacity, even after 10,000 stretch-and-release cycles. 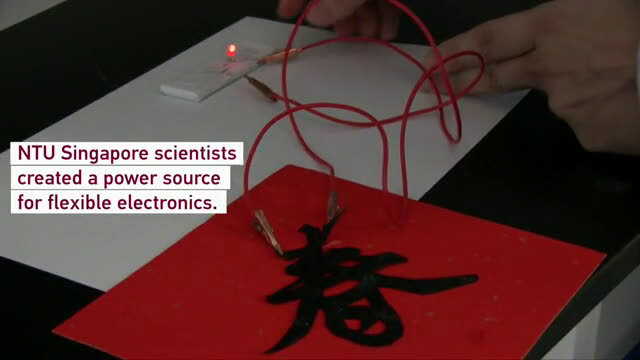 Experiments done by Prof Chen and his team also showed that when the editable supercapacitor was paired with a sensor and placed on the human elbow, it performed better than existing stretchable supercapacitors. The editable supercapacitor was able to provide a stable signal, even when the arm was swinging, which was then transmitted wirelessly to external devices, such as one that captures a patient's heart rate. The authors believe that the editable supercapacitor could be easily mass produced, as it would rely on existing manufacturing technologies. Production cost will thus be low, estimated at about SGD$0.13 (USD$0.10) to produce 1 cm2 of the material. Professor Chen said, "A reliable and editable supercapacitor is important for development of the wearable electronics industry. It also opens up all sorts of possibilities in the realm of the Internet of Things when, wearable electronics can reliably power themselves and connect and communicate with appliances in the home and other environments. "My own dream is to combine our flexible supercapacitors with wearable sensors for health and sports performance diagnostics. With the ability for wearable electronics to power themselves, you could imagine the day when we create a device that could be used to monitor a marathon runner during a race with great sensitivity, detecting signals from both under and over-exertion." Dr. Loh said, "Customisable and versatile, these interconnected, fabric-like power sources are able to offer a plug-and-play functionality while maintaining good performance. Being highly stretchable, these flexible power sources are promising next-generation 'fabric' energy storage devices that could be integrated into wearable electronics."